The Atlanta Design Espresso Set includes a small espresso cup and saucer featuring pen and ink style illustrations of Atlanta landmarks. Revisit some of your favorite places including: The Fox Theater, The Georgia Aquarium, Ebenezer Baptist Church and Hartfield Jackson International Airport. 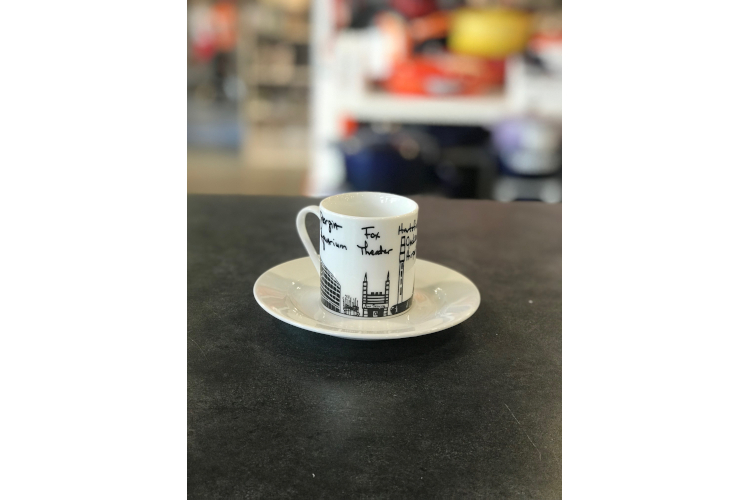 These white espresso cups and saucers with black illustrations are a happy reminder of good times spent in Atlanta and a great way to motivate friends and family to visit you here.